For the first time ever, in early February, the ferry serving the Lake Erie Islands was able to shove-off into open waters – much to the delight of an islander who was forced by a fierce December gale to leave his car ashore on the mainland. And so it went throughout the nation: A cold, productive December followed by a way-too-warm rest of the season. At press time, the record-setting snowfall that buffeted the East Coast was expected to give way to rising temperatures with just a few more weeks of winter left. The stock draw in January, typically the coldest month, was 9.65 million barrels compared to the average 14.6 million barrels. Prior to this season, the lightest January drawdown over the past five years was 12.5 million barrels. As mid-February approached, marketers across the country were hoping for a sustained cold snap to heat up this season’s consumption and bring some balance to ledgers. “We were down 20 percent in January,” he says of his company, Stevens Gas Service in Essex Junction, Vt., anticipating that by the end of the heating season sales will balance out at 5 percent below last year’s tally. Last year, Michael Schwartje, vice president at ConocoPhillips, described a “ho-hum” season. For the 2005-06 run, ho-hum is just one of the terms being used. “It was a fairly good year for the consumer, but maybe not for the retailer,” says David Hinton, a petroleum industry analyst with the U.S. Energy Information Administration (EIA). This season’s propane drawdown was hovering 8 million barrels shy of the level seen during the 2004-05 winter. Americans became more conservation-conscious by bundling up, lowering the thermostat and exploring other energy sources. On average, households heating primarily with propane can expect to pay $150 (14 percent) more this winter than last, according to EIA. Natural gas is $178 (24 percent) higher, heating oil, $195 (16 percent) higher and electricity, $36 (5 percent) higher. Gamson notes that if colder-than-normal weather strikes over the remainder of the heating season, these expenditures could be considerably higher than the current projections. Thus far the winter of 2005-06 is “pretty pathetic,” according to Roger Leider, executive director of the Minnesota Propane Gas Association. The New Year brought in temperatures at 14 degrees above normal in the North Country. In the meantime, residents in the Land of 10,000 Lakes were battening down the hatches by donning extra sweaters while stoking their wood- and corn-fired stoves. 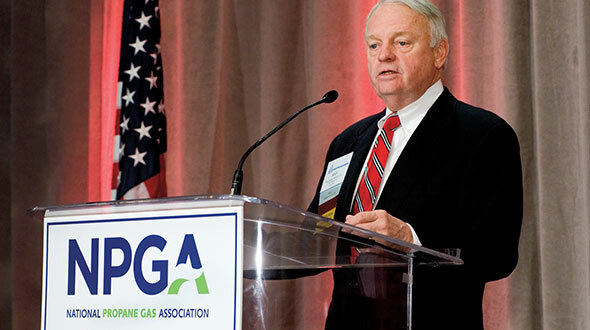 “We don’t believe that it will have a huge long-term impact, but [the MPGA’s membership] may hold back on some capital improvements,” Leider says. “It’s been a roller coaster year for us in this area,” says Boyd Cook, regional sales/service manager for AmeriGas in southern Utah and president of the Rocky Mountain Propane Association. After a good, cold start, the mercury remained uncomfortably high for Cook’s taste. “I was beginning to wonder if we were going to get winter back again,” he recalls. “We’re not having a bad year, but we’re not having a good year either,” says Dale Blanchard, secretary/treasurer of the Northwest Propane Gas Association. Balance was in the equation for Bingham Cooperative Propane in Blackfoot, Idaho. “We had a nice cold blast in December and the warmest January on record,” says Schwartje. Despite reduced demand, Conoco-Phillips is in good shape, says Schwartje, due to locked-in margins via pre-season contracts. Tim Hendricks, president of Capitol Propane in Lewis Center, Ohio, and vice president of the Ohio Propane Gas Association, is just one of many lamenting higher product costs. He adds that if you do a decent job of pre-buying and keep up with pricing, a reduced-demand season can be withstood. The gallons are “way off” in the Peach Tree State, according to Jenni McKeen, executive director of the Georgia Propane Gas Association. While terming the season “not really good, but not catastrophic,” she nonetheless rues how this will be the fifth year in a row without weather suitable for healthy propane sales. 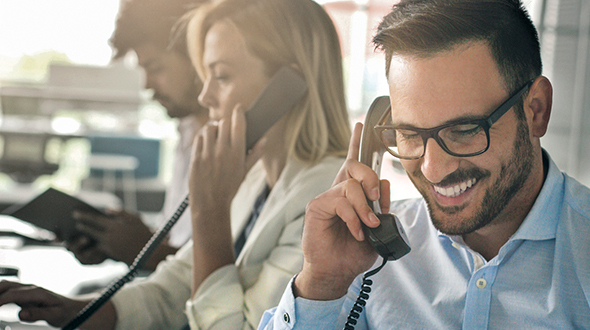 This type of pressure may push some operators out of the business, some believe. “People who are thinking about retirement may go ahead and do it,” says McKeen. 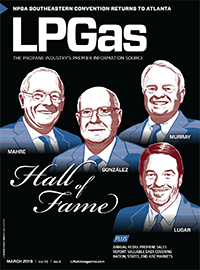 “The smaller, weaker companies will become acquisition targets and will probably be happy to be so,” agrees David Archer, president of the Ohio Propane Gas Association. 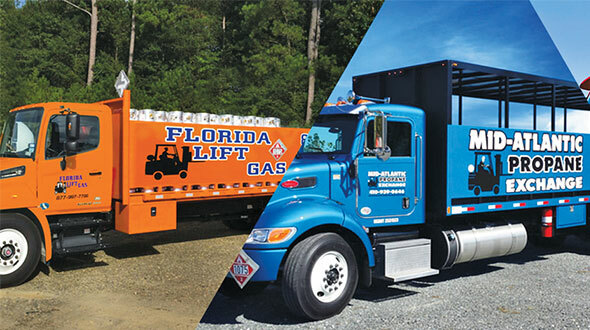 Archer is senior vice president of sales and marketing for bulk transporter McIlvaine International Inc., a Wooster, Ohio-based company with a fleet of 105 propane trucks running in six states. “In December, I could have used an additional 75 trucks a day and kept them all busy. This January, I had 25 units sitting,” he says. Mississippi Propane Gas Association members are trying to sell more appliances and explore other revenue streams to diversify business, according to executive director Jerry Wilkerson. At Gary’s Propane in Gillette, Wyo., owner Gary Germann is staying about even with last year’s sales figures, thanks to an increase in customers offsetting decreased individual household demand. Too many marketers delayed purchasing their propane until the September hurricanes hit, according to D.D. Alexander, president of Global Gas Inc. in Englewood, Colo. The wholesaler/retailer serves a 21-state marketplace from Wyoming to the Atlantic coast. Over the past eight to 10 years, March has been the least-expensive month to start step buying, followed by April, says Alexander. At the same time, she issues a caution about taking too much stock in statistics amid such market volatility. Sparked by early season cold where people were scrambling to buy propane, a lot of people in the Mid-Atlantic States purchased railcar gas, and now they’re swimming in it, according to Alexander. 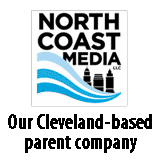 Thomas Osina, executive director of the Mid-Atlantic Propane Gas Association, stated that most members pre-bought, convincing consumers to plan ahead and get on budget plans. On the supply side, Osina describes how it got a little tight in mid- to late-December, as cold temperatures descended upon the region. By mid-February, according to Alexander, some refineries were selling propane at-cost. Alexander also cites force majeure refinery contract clauses that reduced previously contracted volumes. Refiners invoked force majeure when natural gas prices rose, diverting propane from sales availability to operate the plants’ equipment. Refiners were also lowering propane production in favor of other petroleum products. Isolated and short-lived pipeline allocation issues were among the bottlenecks popping-up, along with long lines and the typical “getting product from point A to point B” transportation hassles. A number of states granted Hours of Service exemptions when driver difficulties became apparent. “That’s the nature of the beast; it’s going to happen,” says Alexander, referencing assorted logistical problems and the adage to expect the unexpected as a routine aspect of this business. Also, infrastructural weaknesses could have been exposed if a deep chill had enveloped the various regions, she observes. “We have to be prepared as we always are for the winter that’s colder than normal. One of these years it’s going to show up,” says Jim Bishop, president of Bishop Energy and Enderby Gas, a wholesaler/retailer based in Gainesville, Texas. Volume is down but margins are good, notes Bishop, but with a fleet of 13 bulk transports, their drivers haven’t been stretched like they could be. Bingham has a 90,000-gallon storage capacity. However, some companies had problems getting product in the early going. “There were one or two who sat a day or so with empty tanks waiting,” says McKinnon. Electricity tends to be less expensive in Idaho, and some consumers were shutting off the propane in favor of that option. “They hear the price and they gasp,” he says. All-electric homes have been increasing in southern Utah as well, reports Cook. In an area known for its summer tourist trade, businesses that previously utilized propane to maintain minimal heat in closed-for-the-season buildings were shutting up tight and winterizing instead. “The price of fuel has been a real driver for consumers being really energy-conscious,” Cook says. At Bingham, collections have been tough, says McKinnon. 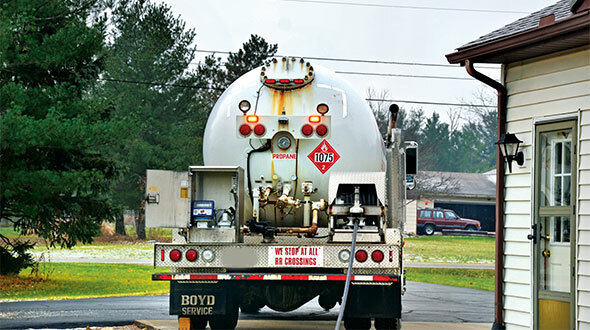 Requests for partial 100-gallon fill-ups were common, slowing down the route drivers. “We lose truck efficiency, and that cuts into the bottom line. One cold night can easily cause them to run out, and then you have an out-of-gas call to worry about,” McKinnon says. The thus-far low drawdown is going to put downward pressure on pricing, according to Gist. “You can’t even talk price anymore, because what you say today will be different tomorrow,” notes Mike Tracey, vice president of marketing for SEA-3 terminals. Still, Tracey feels the industry will come out of this winter with record-high inventories, citing a high of 70 million barrels or more. He remains reluctant to make predictions because of numerous outside factors, but he remains optimistic. “No matter what crises we come to in this industry, it tends to right itself by the end of the day,” he says.